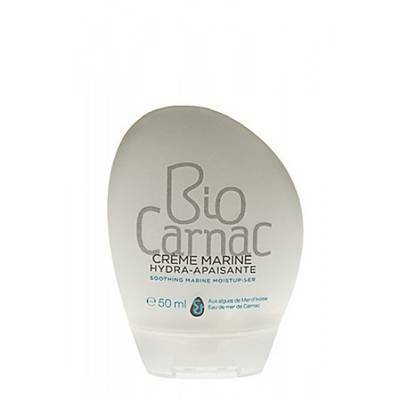 HYDRATION AND BEAUTY This cream is ideal to nourish, strengthen and comfort the sensitive skins. In isotonicity with the cutaneous ecosystem, it delivers by simple osmosis all the vital elements in biodisponible form within the skin to give again its density, its balance and its vitality to him. Ingrédients : aqua, maris aqua, hordeum vulgare stem water*, dicaprylyl carbonate, cetearyl alcohol, glyceryl stearate, helianthus annuus seed oil*, potassium palmitoyl hydrolyzed wheat protein, caprylic/capric triglyceride, benzoyl alcohol, vaccinium macrocarpon seed oil, glycerin, parfum, enteromorpha compressa extract, dehydroacetic acid, tocopherol, glycerin soja oil, limonene, linalool, caesalpinia spinosa gum, laminaria digitata extract*, geraniol, potassium sorbate, sodium benzoate, lactic acid.